H&A Siivouspalvelu is a cleaning business operating in Uusimaa. We offer diverse cleaning services for businesses and the public sector. The competitive edge of our family business is a genuinely customer-oriented service chain. Our cleaning service is always customised as a package suitable for our customers, and we collaborate closely with our customers to improve the service. Our customers’ satisfaction with our service has been proven to be high. Our company is also a financially reliable partner (AA credit rating). Approximately 140 committed employees are our company’s most important resource. We utilise the latest technology in our cleaning service and take the environment into account as a natural part of our operation. 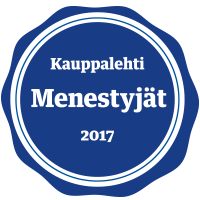 As proof of our ability to produce quality, we were one of the first companies in Finland to receive the Clean Card quality certificate of the sanitation industry. Our values are customer-orientation, reliability, quality and looking after our staff and the environment.